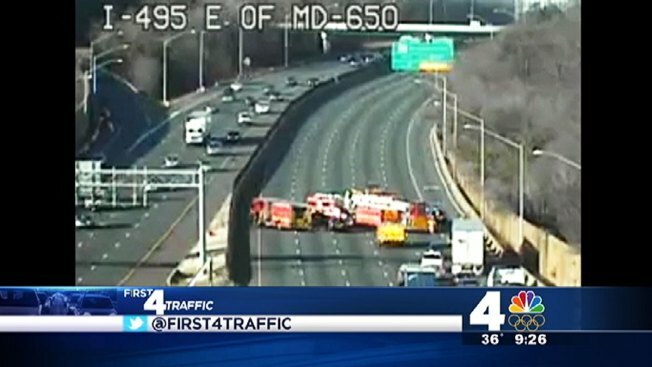 The Outer Loop of the Beltway has reopened following a serious crash mid-morning Tuesday, which temporarily snarled holiday travel for drivers in the area. State Police said at least one person was injured in the two-car crash. Initially, drivers were getting by on the shoulder, but as of about 9:25 a.m., police had completely blocked the Outer Loop. It has now reopened. During the closure, traffic also backed up on southbound Interstate 95.